Lahaul-Spiti Tour: Escape to the Mountains! Mountainous terrain, stunning landscapes, gushing rivers… Your Himachal Pradesh tour package, to the remote and austere northern and eastern region of the state, is an escape from life as we generally know it. 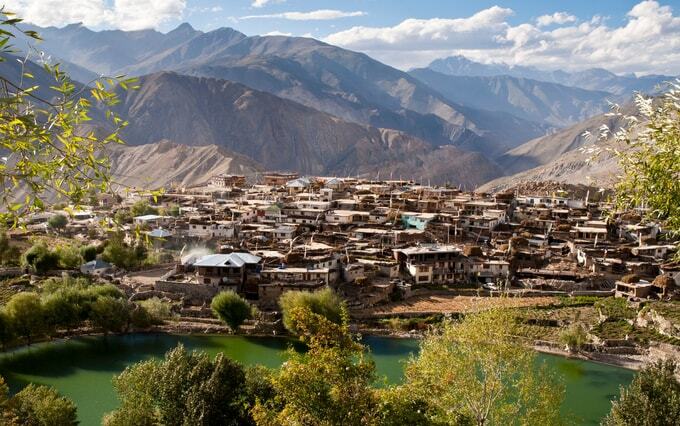 Lahaul-Spiti Tour is a richly rewarding experience. They are amongst the most sparsely populated regions on earth. They also among its most beautiful! Lahaul and Spiti, the two isolated Himalayan valleys of Himachal Pradesh which lie on the Indo-Tibet border, are a captivating blend of natural splendour and Buddhist art and culture. While Lahaul is blessed by nature and nurtured by the Chandra and Bhaga rivers, Spiti is replete with gorgeous monasteries and breath-taking trekking routes. The region also celebrates a number of fascinating festivals and fairs like the Pauri, Ladarcha, Tsheshu, Fagli and Gochi fair. Beautiful lakes, wildlife parks, lush green valleys, cold deserts and adventure options galore, Lahaul-Spiti are just what the busy mind craves every once in a lifetime! It is considered to be the oldest continuously functioning Buddhist monastery in India. 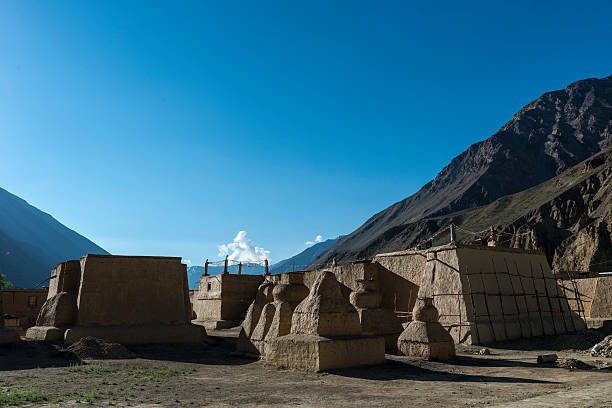 The Tabo gompa was founded in AD 996, when Tibet’s Guge kingdom expanded into these remote territories. Its mud-walled buildings encompass nine shrines, of which five date back to the 10th and 11th centuries. Painted by some of the best Buddhist muralists of their era, they blend Tibetan, Indian and Kashmiri styles. Besides the stunning murals, there are exquisite statues and sculptures, and temples. Don’t miss the daily worship at 6 am. 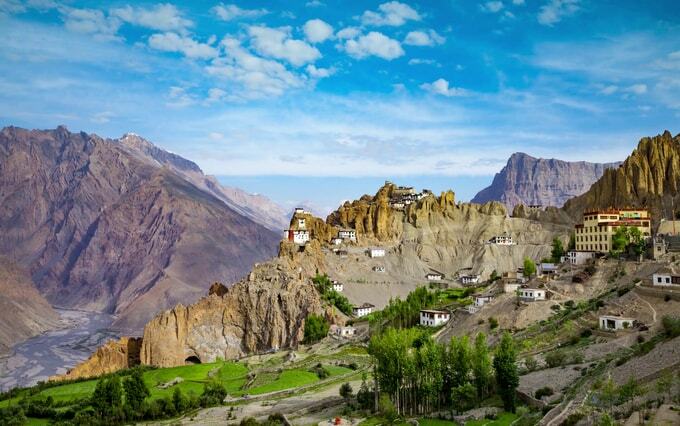 Perched on the edge of a cliff, the 1200-year-old Dhankar Gompa is a sight to behold. Listed as one of the world’s 100 most endangered monuments, it encompasses a meditation cave and a shrine containing ceremonial masks. Another prayer hall on the hilltop above contains fascinating murals of the Buddha. It goes without saying that the views from this gompa are astounding. 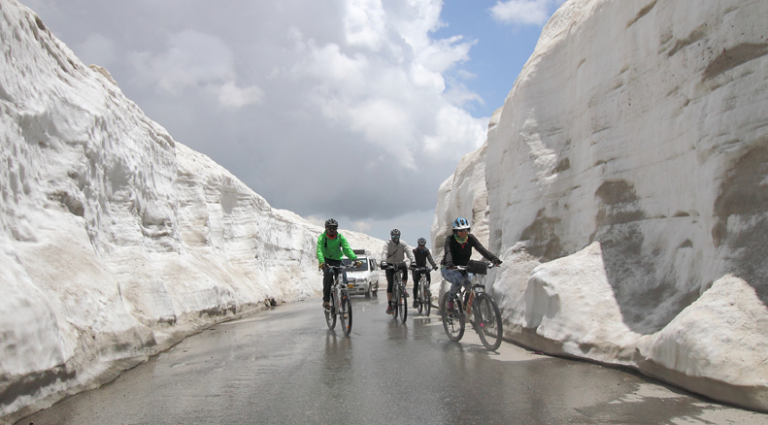 The Rohtang La (3978m) is the highlight of the journey from Manali to Lahaul and Ladakh. The name of this pass itself means ‘pile of dead bodies’, as numerous travellers have frozen to death here over the ages. Travelling from pine forests to the bare rocky slopes, this is also your chance to engage in a snowball fight. But do that after you have visited the small temple, which indicates the source of the river Beas. 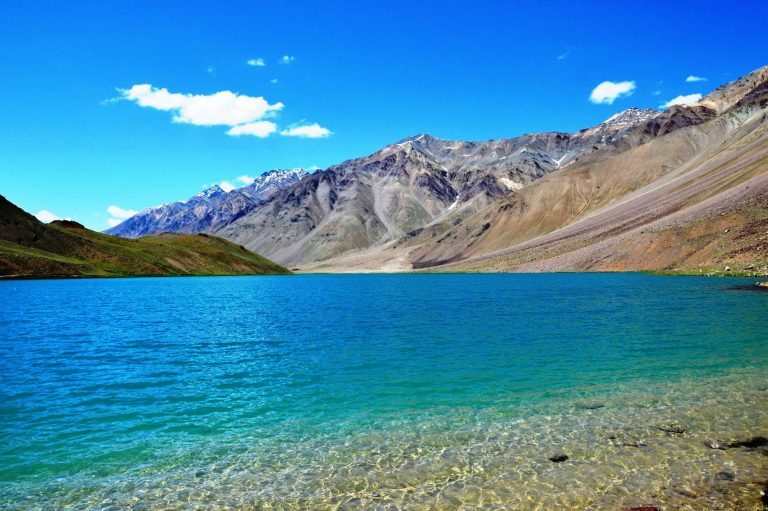 Your Lahaul-Spiti valley trek would offer gorgeous views of Chandra Tal lake. This glacial lake is a mass of constantly changing shades of blue. Hike the 5 km circumference of the lake or trek the 10.5km trail down to the lake from the Kunzum La pass. Satisfaction guaranteed! The watershed between Lahaul and Spiti, Kunzum La at 4551 metres makes for a mind-blowing experience. 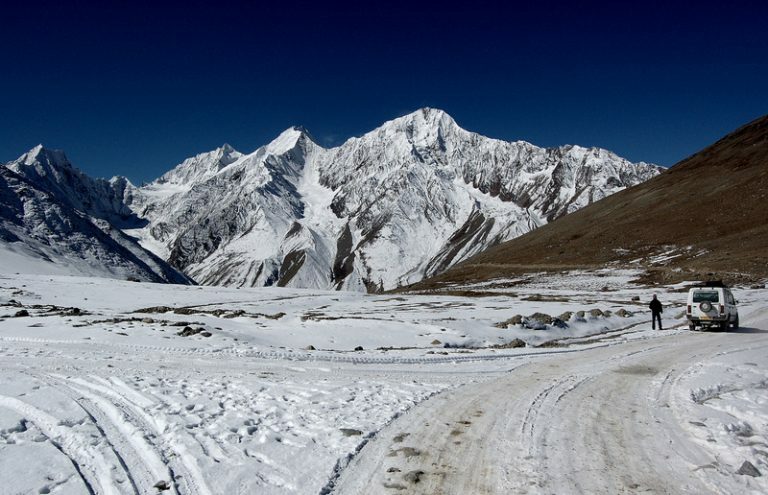 One of India’s highest motorable mountain passes, it is popular with bikers, trekkers and adventure seekers. All vehicles circle the stupas, decorated with fluttering prayer flags, before continuing down on the Spiti valley tour. Previous Post Kashmiri Cuisine: Feast fit for a king!